A laundry machine is a home essential because it’s the fastest way to wash and clean your clothes and sometimes, even to dry your clothes. You can get a brand new washing machine from our catalog and be able to choose from many options and features such as top load washing machine, automatic washing machine or even washing machine with dryer. 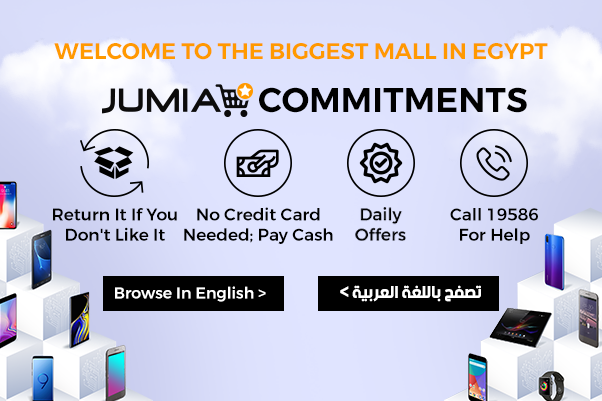 The best washing machine depends on your needs and on the washing machine brands you prefer, you can find high quality brands at Jumia Egypt such as LG washing machine, Zanussi washing machine and Toshiba washing machine. You can even find an energy efficient washer and dryer to keep your electricity use at a low rate. Even though there are currently many releases of a washer with a dryer included as a feature, some people prefer the real deal of an actual separate dryer machine for their clothes. Dryers come in amazing brands as well as different options such as the vented dryer. Dryers are amazing for giving your clothes that soft, warm feel after it has just come out of the dryer. Find yourself the perfect dryer at Jumia Egypt at the lowest and most affordable dryer price in Egypt. Whether you’re looking to buy a new washer or a new dryer, rest assured that you will find what you need in our wide collection for washers and dryers.